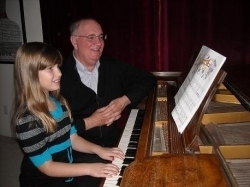 Robert Mimm teaches piano to children and adults, beginner through advanced, in the Westchase, FL area, including nearby Lutz, Carrollwood and Land O' Lakes. He has 16 years of experience teaching piano lessons. Here you'll find more info learning piano and about Robert. A Parent's Comments . . .
Robert usually recommends the Piano Adventures books for his private piano students. Of course, he can fit the songs and piano pieces to fit the student's individual needs. But, he finds that many of his students work well and succeed with these books. This piano book series has lesson and theory books for children and adults. 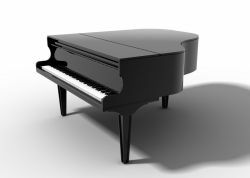 How old were YOU when you First took Piano Lessons? But I don't have a Piano! You don't need a piano to take lessons. 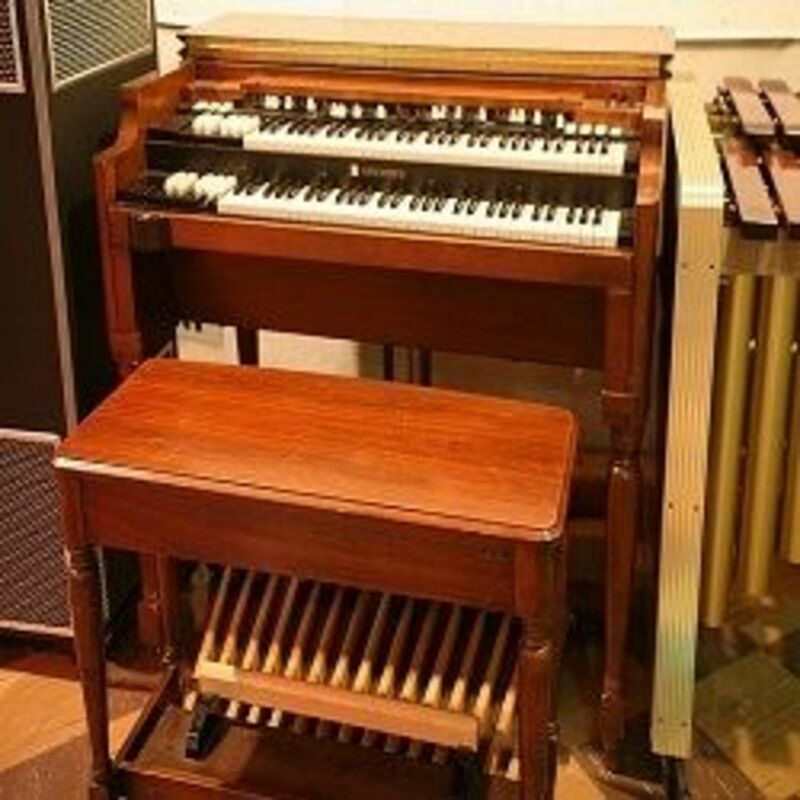 A $100 keyboard will be fine for a piano student for the first 1 to 2 years. 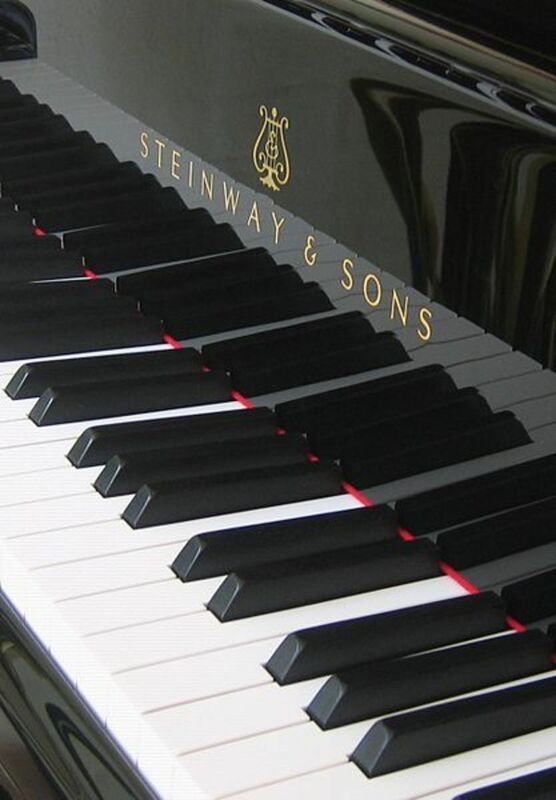 Then, you can decide on whether to rent or purchase a piano, after considering the piano student's continued interest, diligence, finances, etc. How much time does my child need to spend practicing? Practicing piano can be fun and short. A Beginner student can expect to practice only 10 minutes a day in the beginning. Everyone has 10 minutes a day. Your child should be practicing with you in the room, because your child will be motivated by you watching him/her & your encouragement. Setting small goals helps give children and adults a sense of continual and increasing accomplishment. Students learn a little bit at a time, and soon have a repertoire of which they can be proud. - They'll be playing tunes that they've heard before - children songs, commercials, on radio, etc. - They'll be able to pick-out pieces that they like and want to learn. - They'll be composing their own tunes. Can change your child's life. 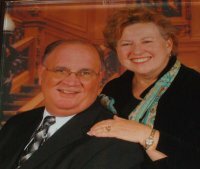 Robert Mimm has been a piano teacher for more than 16 years in Pennsylvania, Maryland, and Florida. He lives in Lutz, Florida. Since 1971, Robert has played and taught piano, as well as repaired and rebuilt them, bringing new life to the instrument and new joy to the owners. Contact Robert at 410-499-3210 or email robertmimm5788 (at) msn.com. Reading music is an absolute necessity - there's just no getting around it (despite what others may say). 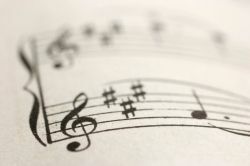 The musical alphabet is only 7 letters long. When you learn to read, you start by learning the alphabet. It's the same with music. How soon will I be able to play a song for my family? You or your child will be able to play recognizable tunes after the first few weeks of study, like the piece below by MacDowell, "To a Wild Rose." Even beginner students can learn this beautiful piano piece. Chopin's Prelude in A Major is a classical piece that an Intermediate student can learn. 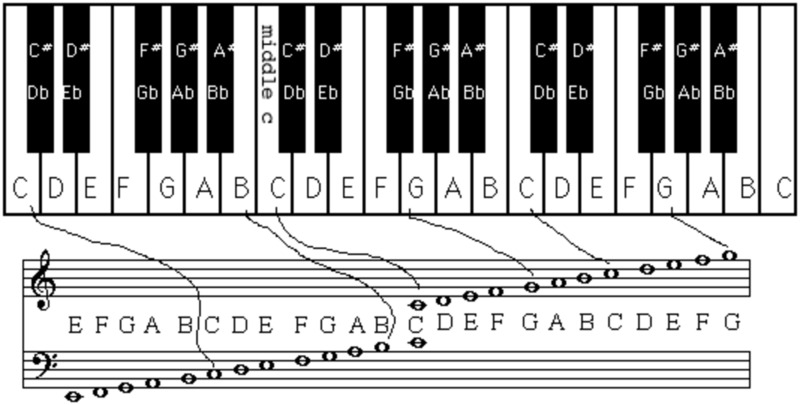 How will Piano Lessons translate to other instruments? Many schools require children to take another instrument (band, string ensemble, choir). 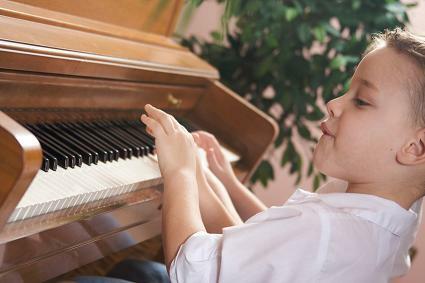 After having private piano lessons, your child will already be a musician. Then, when your child takes up another instrument, your child will be able to translate that piano musician training to the new instrument. Within a few weeks, Stephanie caught on fire. A few months later, she had a grand piano. And now, 5 years later, she plays the major works of Chopin, Liszt, Debussy, and Beethoven. 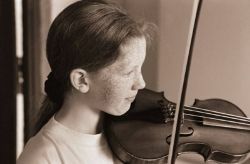 Actually, Stephanie grew so fast musically that when she expressed an interest in playing the violin, Robert arranged for her to meet a highly sought-after violin teacher. Today, only 3 years later, Stephanie is the top violin student in that studio. MORAL: Learn piano as your first instrument. Robert Mimm played the "B" section of this Chopin piece at my wedding! Beautiful Coffee Table Book. Includes beautiful artwork and photos, divided by era. 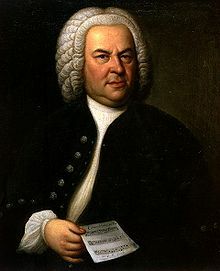 Styles of music, instruments and listening guides. Easy-to-read format of small sections, with key facts about major and minor composers (through the 1960's). Extensive Resource section. Perfect for the child or adult curious mind. Tell us about your piano lessons, or your love for piano music, or your desire for your child to take piano lessons, or your child's love of playing piano and piano lesson success!